When you perform a survey, the intention is to get a representative image about a number of variables or statements within a certain target group or population. Due to practical reasons (too large, too expensive, too time-consuming,…) it is often difficult to interrogate the total population. In that case a sample is used. This is a selection of respondents chosen in such a way that they represent the total population as well as possible. It is very important to use a correct sample size. When your sample is too big, this will lead to unnecessary waste of money and time. On the other hand, when it’s too small, your results will not be statistically significant and you will not come to reliable conclusions. Here you have to enter the size of the group that has to be represented by the sample. If you conduct an employee survey for instance, your population would be the total staff. Once the population exceeds 20,000, your sample size will not change very much anymore. This is the positive or negative deviation you allow on your survey results for the sample, in other words the required precision level. Suppose in your survey 40% of the respondents pick a certain answer and your margin of error is 2%. This would mean that if you interrogate the total population, you can be sure that between 38% and 42% would pick the same answer. The smaller the allowed margin of error, the larger your sample will have to be. The confidence level tells you how sure you can be of the margin of error, in other words how often the actual percentage of the population that picks a certain answer, lies within the margin of error. In market research, margins of error are calculated generally for a confidence level of 95%. This means the survey results will be in line with reality 19 out of 20 times. If you want a higher confidence level (e.g. 99%) your sample will have to be larger. 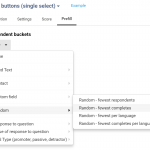 Once you have calculated the sample size, you know how many respondents you need to generate. Then you must still estimate how many individuals out of the population to ask to participate to insure the required number of respondents. For instance, if you send out email invitations and your sample size is 100, and the expected response rate is 20%, then you will have to send out 500 invitations. After the data-collection phase of your survey you will know the actual number of respondents that have participated. Unless it happens to be the exact sample size you were looking for, you will then need to calculate the achieved margin of error. Please note, the confidence level and margin of error calculated by our tool is for a random sample. Furthermore, it assumes the response pattern you receive is normally distributed. For sample sizes above 30, the normal distribution usually will be a good estimation of the actual way the responses are distributed (see also the central limit theorem). For smaller sample sizes the Student’s t-distribution is more appropriate, but is not supported by our sample size calculator. How to estimate your population and survey sample size? what will be my sample size? You can use our sample size calculator to calculate this for different options. I am going to conduct a household survey. I would like to know the sample size of my survey with 95%confidence interval , 5% margin of error and 50% response rates. You can use our sample size calculator to calculate your sample for different populations, confidence levels and margins of error. E.g. for a population of 10000, confidence level 95% and MoE 5% your sample size will be 370. You can use our sample size calculator to calculate your sample for different confidence levels and margins of error. E.g. for confidence level 95% and MoE 5% your sample size will be 169. Based on your numbers the total population will be around 4800 pupils. For a margin of error of 5% and confidence level 95% you will need 356 respondents in total (see also our sample size calculator, spread proportionally across the schools. This is when you want to draw conclusions for your population in general. If you want to draw conclusions per school separately, your sample needs to be higher. For 300 pupils in one school, you will need 169 respondents to obtain a margin of error of 5% for a 95% confidence level for that particular school. Hello. For my study, the population is 57. When I computed for sample size using your calculator, it was indicated that the required sample size is 50 with a margin of error of 4. something. Is it appropriate already? How exactly was 50 determined. Please help. I need the exact computation for my study. Thank you. Proportion p is your expected outcome. If you don’t have any idea about the proportion, you can take 0,5. This will maximize your sample. For a population of 57 and confidence level 95% with margin or error 5% your sample size will be 50 (if MoE = 4 then sample size will be 53). You can check with our sample size calculator. If you have sample size 80 tyou can calculate backwards for a given population, confidence level and margin of error. Or you can use our sample size calculator for immediate result. Hello Van Dessal. Sorry for replying into someone’s comment. I sow the formula for unknown population. But my concern is that, the sample size needs to be distributed in four strata. Now, how can I divide it while the population is unknown? You will need to make an estimation of your population and try to divide your sample in 4 representative subsamples. You can always look for more detailed information on the subject in specialized statistical fora. For a population of 26587 households and confidence level 95% with margin or error 5% your sample size will be 379. Hi, I’m trying to figure out the sample size for a population of 200 people. Using your sampse calculator with a MOE = 5% and CI = 95%, I got 132. However I need to know the exact computation and show the step-by-step for the sample size value and put it in the paper I’m doing. Do you mind giving it to me? Thanks! We are going to aggregate data that we already have from within our client base so we know that we will have 100% for each category we are surveying.. How big of a sample size within each category would be needed to get a proper benchmark? I was thinking 100 but wanted to get your opinion. Thank you! Hi Geoff, sorry for thte late reply. The margin of error for a sample size of 100 depends on the size of your total population. Once your population gets larger than 1000, your margin of error will be around 10%. 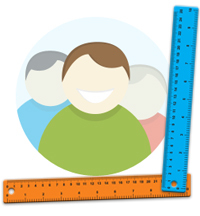 You can check for different population sizes using our sample size calculator. Hi, we are about to conduct a survey. We have a total population of 1100 customers. and we want to know how satisfied they are with our service. How many customers should be invited to answer our survey? thanks so much. You can use are sample size calculator to calculate your sample size for different confidence levels and margins of error. Often a confidence level of 95% and MoE of 5% is used, which results in a sample size of 285 for your population. Hello, I am doing a survey research on 90 nos. of urban poor area where the approximate households – 27,966 and Approximate population – 167796. what should be the sample size of my representative population? It depends on your general research question. If you want to draw conclusions about households in the area, you should use the population size of 27,966 to survey different households and compare them. The sample size will be 379 with a 95% confidence level and 5% margin of error. If you want to survey individuals and compare results based on socio-demographics (age, gender) you should use the general population to calculate your sample size. You can calculate sample sizes using our online calculator. To calculate your ideal sample size you need to make an estimation on the total population first. For large populations (e.g. > 100,000) your required sample size doesn’t change much. You also have to choose the confidence level and margin of error you want to allow. Often a 95% confidence level and margin of error of 5% is taken. The ideal sample size for a population of 5,000 people with a confidence level of 95% and a margin of error of 5% is 357. You can calculate this using our online calculator. This number can also be used for a convenience sample. It indicates how much respondents you need to get a representative sample. Good luck with your survey! Thank you so much for this helpful article. If I have a population of 5500 employees,I understand that I need 2365 responses given that I set the confidence interval to 99%, and the margin of error to 2%, However, I’m not sure why in the calculator, it asks me to send 9460 invites where this number is larger than the size of the overall population. (9460>5500) Could you please advise? The number of invites in our calculator is based on the estimated response rate, so it’s just an indication. Naturally, you can’t invite more than 5500 people. That’s why this number is in red when it’s above 5500. You’ll see it will turn back blue, when the number of invitations is feasible. You can calculate your sample size using our sample size calculator. The sample size of your research will depend on the margin of error and confidence level you want to use. The higher these numbers, the more respondents you will need. The margin of error tells you how much the opinions of your sample are likely to deviate from the population. The confidence level usually is 95% or 99% and tells you how often the percentage of the population who picks an answer lies within the margin of error. With a population of 35 and a sample size of 20 your margin of error (for a 95% confidence level) is 14,55%. This number is quite high. You can calculate your ideal sample size using our calculator. If MoE is taken 5% and confidence level is 95% then the sample size is 32, but can we use such lower number of sample size for scholarly research for the degree of M Phill. would it not effect the result. If your sample size is 32 for confidence level 95% and MoE 5%, that means your population is only 34. In that case you might al well use the entire population for your research. and i was suggested to to take 60 persons. When your population is 250, you need a sample of 152 for confidence level 95% and margin of error 5% with p = 0.5.
i want to assess knowledge of nurse about pregnant women care. and my population is unknown. How I can calculate sample size? First of all you have to make an estimation on the total population, e.g. the total number of nurses in your country/region. Proportion p is your expected outcome, e.g. when you expect 70% of nurses to have a good knowlegde about pregnant woman care, p will be 0,7. If you don’t have any idea about the proportion, you can take 0,5. This will maximize your sample. Hi , I’m doing a research too and I have 305 total number of respondents. Is it okay to use the slovin formula ? If you don’t know anything about your population’s behavior, you can use Slovin’s formula to determine sample size. Since you have 305 respondents (which is your sample) you might want to check whether the margin of error is acceptable or not. 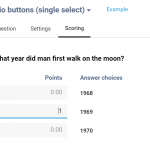 You can use the second part of our online calculator to calculate the margin of error for your sample size by filling in population size, number of respondents and confidence level. Why we have to you standard sample size 385 or 400 in our research paper?Anyone know,please? A sample size of 385 corresponds with a confidence level of 95% and margin of error of 5% when you have a large population (> 100,000), which is often used in research. In fixed variation, the variation stems from fixed occasions, persons or groups. More detailed information on this subject can be found in the book ‘Explanatory Item Response Models: a Generalized Linear and Nonlinear Approach (Paul De Boeck, Mark Wilson). To calculate your sample size, it is important to have an accurate definition of your target group, an estimation of your total population and the margin of error you want to accept for a certain confidence level (often 95% confidence level and 5% margin of error is taken). You also need to check whether your sample is representative of your total population. P stands for the proportion you expect for the question you are investigating. An example: if you want to investigate the percentage of women in a certain profession, and before performing your study, you expect this to be 30%, your proportion p will be 0,3. If you don’t know your proportion before, you have to take 0,5 as this will maximize your sample (the more p differs from 0,5, the smaller your required sample will be). Hi, I am trying to determine what sample sizes needed- we are carrying out a quality improvement survey with patients in 40 hospitals wherein the number of patients range from aprox 1300-22,500, giving a total population of 33,000 patients across all hospitals. We want to be able to present results at a national level and at a hospital level (comparing across hospitals). I am just not sure do I have to create my sample size per hospital using the population within the hospital ? Would really appreciate help! If you want to draw conclusions on a hospital level, all sample size rules will apply to each hospital’s population separately. So you will have to calculate sample sizes per hospital. This of course will make your required total sample size considerably higher than when you only want to look at a total level. You could also group hospitals per region and compare regions if you want to put a limit on your sample size. Please I just to know the author of sample size calculator. I also need to know if there is some document about it that i can refer? so I know the documented population of project affected persons, I use chi test for analysis. You can use our sample size calculator to calculate you sample size for different confidence levels and margins of error. For small populations you almost need to include the entire population in your sample to get a reasonable margin of error. In this case, for 50 facilities, you will need a sample of 45 for a margin of error of 5% at the 95% confidence level. i want to conduct a survey in a town, i have counted the number of houses per location and i got the total number of houses in the Town, but im struggling to get the minimum sample size for all the population or probably the acceptable sample size. You can use our sample size calculator to calculate your sample. It is common to take a margin of error of 5% and confidence level 95%. If you want to draw conclusions per location, you will need to calculate your sample size also per location. E.g. for location 1 (65 houses) this would be 56 respondents, for location 15 (1489 houses) 306 respondents. If you only want to analyse globally, you can take the total of 3270 as population and spread your sample size proportionally over the locations. When the proportion p is not known, it is common to use 0,5. Hi, i’m doing a stratified random sampling, total population is 621,103, margin of error 5% n confidence level is 95%, your website helps me a lot doing the calculation. As the result, i only gather 384 samples. Hello sir, may I know why sample size doesn’t change when it exceeds a certain number? And what theory supports it. Thank you very much. It is correct that the sample size for large populations does not exceed 384 (for confidence level 95% and margin of error 5%). For Z = 1,96 (95% confidence level) and MOE = 0,05 SS is 384. You will see that with a large population, the denominator in the formula to calculate SSadjusted is close to 1. For a population of 667 you need a sample size of 244 if you want to limit your margin of error to 5% at a 95% confidence level (see also our sample size calculator). My sample design is stratified, and previous project always include ‘response rate’ into the calculation for sample size. I’ve recently found that response rate in each stratum is different, what do I have to do next? What I want to ask is, are there any ways I can use these response rates to calculate strata sample sizes? Or do I have to find mean value of response rate and use it to calculate for overall sample size? If you want ot treat your stratea as separate populations, you also have to look at them separately and calculate sample sizes per stratum. And thus use the specific response rates you have estimated based on past projects. If you want to look at the total results of all strata as a whole, you can use the average response rate. I want to know the sample size of my survey. Because the mutual fund investors in India is unknown population so i need your help to determine sample size. For large populations the sample size doesn’t change very much, e.g. for a population of 10,000 you need a sample of 370 and for 1,000,000 this is 384 (for confidence level 95% and margin of error 5%). Hi, What is the best way to calculate the sample size so yhat it is repreentative of the population in the following case. There are 3,000 total customers and on a monthly basis the ones randomly selected will fill a survey. The ones asked to fill it, will all fill it. It’s part of a negotiation. Should I eliminate the customers that are in credit hold for that month? So how do I get the most accurate sample size? Thanks for your question. If you want to make reliable conclusions on a monthly basis, you will need 341 respondents each wave. With this sample you have a margin of error of 5% for confidence level 95%. I would leave out the customers in credit for that month to avoid any bias. I used your calculator on sample size to find out how many I need out of 3450 total population size with an margin of error of 3% and a 95% confidence level. The calculator gave me 816 as the representative sample size. What is the formula used to determine the representative sample size with that margin or error and confidence level? first you calculate the sample size(SS). I am doing an interview based survey of households for a minor research project. If there are 34,342 households, then what should be my sample size? Also, since it would be a personally visited survey, there will be hundred percent response rate. If you use a confidence level of 95% and margin of error 5% (which is common practice), you sample size will need to be 380. Hello , I am not that much into stat but i really need to determine my sample size out of a population of 915,970. Can you please explain me how to determine my sample size? I had a question about the required sampling size. I am currently picking 3 out of 20 possible future scenarios and testing them in a model. So the number of possible combinations would be (20 C 3) = 1140. However, this is a huge number and I would like to do only the minimum number of runs. How would I determine this number? I have no straightforward answer for this specific question, I suggest you post this on a specialized statistical forum. The number of possible combinations indeed will be 1140 if the order of scenario’s is of no importance. Hi, If I have to report 3000 so what should the sample size be? is 5% extra is enough so the sample size to be 3150? please advise and give your views on that and provide any standards or rules for the buffer sample. Can you tell me what the 3000 stands for? Is that your total population? You can use our sample size calculator to calculate the required sample size for different populations, confidence levels and margin of errors. I am currently designing a community study using RCT in one district in my country. The study is about assessing the impact of mobile screening on cervical cancer among rural women aged 25-50 and this will be compared to standard care. In the district, we have 93 parishes. I will randomize at aggregate level using a 2- stage sampling implying my sample will be the parishes as the unit of analysis. Initially including all parishes and in stage two, I randomize the required number equally in the intervention and control arms. Using 20% screening rate from literature reviews, I detect a difference of 10%, a sampling error of 5%, confidence level of 95%, and 80% power. What is the best formula for me to get the right sample size of parishes required. I hope this is of any help. Hello- we are currently conducting a customer survey and I was wondering if the way we are currently doing is better than sampling the population. It’s pertaining to service tickets. We have on average 2198 service tickets in the last 6 months. I am assuming this is the population size? If yes, we are currently sampling EVERYONE who opens up a service request. Our response rate (i.e those who respond), is about 42% on average. Is this a better number representative of the population or would sampling yield better response rate? I calculated that given 2198 is the population size, with a confidence interval of 95%, and margin of error at 5%, we would only need to sample 328 service tickets. Thanks for your interesting question. You are correct when you say that you only need 328 respondents for a confidence level of 95% and margin of error 5%. If you say that you have a 42% response rate on all of your 2198 service tickets (sample size=923), this means that your margin of error is reduced to 2,46% for a confidence level of 95% or 3,23% for a confidence level of 99%. Which is of course better if this doesn’t take you a lot of extra effort and/or budget. You also need to take into account the representativeness of your sample. E.g. when your 923 respondents all come from a Northern region, you can not extrapolate this to your customers in the south. You need to have a representative spread over age, region, gender, …or try to at least. would you kindly tell about the reference of this equation using here. How would I determine the correct sample for auditng purposes at an individual level? For example, if I have 10,000 widgets being processed daily and there are 50 people processing them, how would I determine the sample per person? This means you have an average of 200 widgets per person. If you use an error margin of 5% and confidence level of 95%, you would need a sample of 132 widgets. I am doing research on this ethnic population and needs to know how many people should i get for my subjects? If I have 90…is it enough? With 90 respondents on a population of 820,455 your margin of error will be 10,3%. This means when for example 60% of your respondents selects a certain answer option, the reel percentage for youre population will lie between 49,7% and 70,3% with a 95% confidence level. I would like to conduct a telephony survey to get an idea on how we are doing in our retail field for our furniture showrooms. I have a database of 500,000 customers. Could you advise how many customers i should be calling to participate in the survey? For a margin of error of 5% and confidence level 95% you will need 384 respondents. What are the parameters to know the effectivity of a machine in the ease of understanding of operation. can i do statatistical analysis on how to evaluate its effectiveness. I have 20 colleges with different no. of students and a total population of 1 lakh. around 2000 to 6000 students in a college. how many students should i take from each college. As per your website calculator i have to select 400 students out of 1 lakh. Hello. I’m a 4th year nursing student and I’m working on our undergrad study which is a descriptive study on the level of emotional intelligence of nurses to their level of job performance or satisfaction. there are 26 regular nurses and 92 casual nurses. a total of 118 nurses. im confused on how many samples am I going to choose in each wards. and the margin of error and confidence level is a bit tricky to me. I have read lots of theories on determining sample sizes. But I would like to be assured on how to appropriately decide on the number of sample I will make from an 80000 CDs each containing 800 to 1000 records and found out that there were some bad records. How many CDs are to be sampled to say that there were minimal bad records or only 1% records were bad. Thank you. I got to learn a about the computation of Sample size but I would like to know a precise answer to my problem statement. My problem statement is that I have a population which includes customers visiting my site from multiple devices and buying from a particular device and customers visiting and buying from same device. Main problem I am facing is that I am unable to classify the percentage of customer who is coming from multiple device and customer coming from single device but I want to estimate a number that can represent the entire population. The survey I am running is voluntary, so response rate will be 100%. Can you please explain how this will impact the calculation of the sample size. I suppose you mean that your survey is mandatory rather than voluntary? Anyway, it does not impact the calculation of your sample size. You still need a number of respondents. However, it might impact the number of invitations you send out as you do not have to consider the response rate and thus send out more invitations). Hi thank u for a really helpful website. Im conducting a research on the millennial generation in Pakistan who are on facebook for my M Phil thesis. That makes up around 2 million people. Now since the response rate is quite low questionnaires were sent four times the estimated sample size. Which was 385 according to your website. Now after one month number of responses I got are 320. I don’t have much time so can I go forward to data analysis with the acquired number of responses or should I get more? I can already assure you, you can go forward with the acquired number of responses. However, there is a caveat. Your margin of error will be larger than 5%. You can calculate the actual margin of error via this link: https://www.checkmarket.com/market-research-resources/sample-size-calculator/. How to calculate the number of product from line which have 10 machines and have cycletime of each workstaion? Could you please elaborate your question a bit more as I am not too sure what you exactly mean. Thank you for your helpful website. I am conducting a survey with college faculty at 5 local area colleges, with a total population of 800 full-time faculty. I am using a predictive correlational design and have 1 IV (with four sub concepts) and 1 DV (with five sub concepts). Based on similar surveys, I expect a 20% response rate. Will this give me a large enough sample size? I would calculate your sample size for each college separately, i.e. treat each college as a separate ‘population’. As such you will be sure that each college has a large enough sample size. what is the formula of calculating sample size? like if use the sample size determined from the above calculation, how do we prove it? 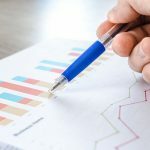 In the following blog article I explain all your questions (http://www.checkmarket.com/2013/02/how-to-estimate-your-population-and-survey-sample-size/).